With the release of Quiet Life in 1979, it was clear that Japan was now more than just ‘an image band’ – the quality of the songwriting and musicianship was at last clear to hear, as David Sylvian began to forge his own style. The music was a clever combination of taut New Wave guitar and ethereal synthesisers, underpinned by the distinctive sound of Mick Karn’s fretless bass guitar. The title track proved something of an inspiration for a number of emerging bands which were soon given the sobriquet New Romantic – Japan too soon found themselves placed under this umbrella. Sylvian was far happier with his third album. “Things started to change. We were getting into synths and were producing some interesting sounds and atmospheric pieces”, he remembers. When it arrived in 1981, few people had heard anything like Tin Drum. It was highly influential, with only YMO’s largely unknown BGM of a year previous sounding remotely similar. Regarded as the cutting edge of electronic pop at that time, drummer Steve Jansen used electronic percussion in new ways. It was a world away from the band’s scratchy, punky, rock roots, and the beautiful and distinctive textures brought new levels of sophistication to electronic music, embellished by Mick Karn’s African flute and Dida playing. Unsurprisingly, it was tortuous to make and producer Steve Nye reputedly almost had a nervous breakdown trying to program those unique sounds into the synthesisers, day after day. Tin Drum has striking and sumptuous chord sequences that pay homage to classical Chinese music, but there’s also an element of funk too, courtesy of that infectiously slippery bass guitar. Lyrically, David Sylvian delivered sketches in song form – rather in the idiom of Kate Bush – painting pictures of scenes and people that he imagines. Four of the album’s eight tracks came out as singles (The Art of Parties, Visions of China, Ghosts and Cantonese Boy), making the pop charts a momentarily more interesting place. 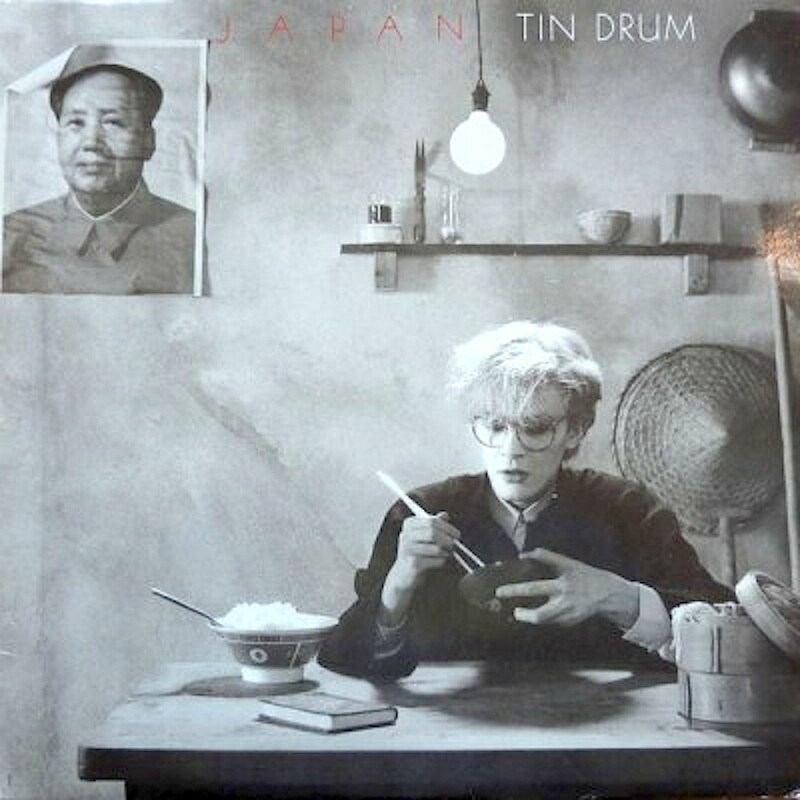 The words and music of Tin Drum sound like absolutely nothing else around then or now. Only the synthesisers date it, but ironically many of these are now back in fashion as samples on modern pop records. For such an experimental work, it charted surprisingly highly – reaching Number 12 in the British album charts, and notching up Gold status. An essential electro-pop classic.